The sweet and soothing sound of an acoustic guitar can easily be overpowered by drums, bass, and even vocals. Luckily, there are a lot of great amps you can get for an acoustic-electric guitar. Whether you’re playing with a band, doing a gig in your local pub, or playing in the streets, take a look at our pick of the best acoustic guitar amplifiers money can buy. 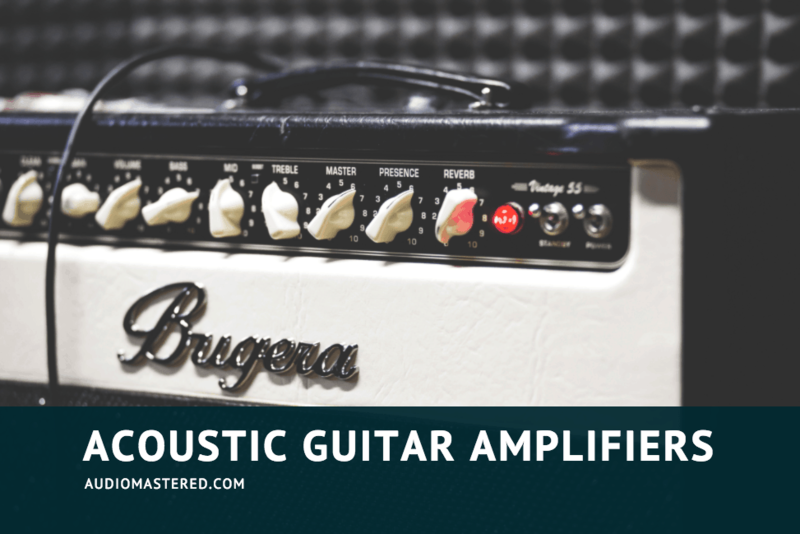 First of all, let’s take a quick look at different specs and features you should consider when choosing an amp for your acoustic guitar. Which Style of Amp Do You Need? 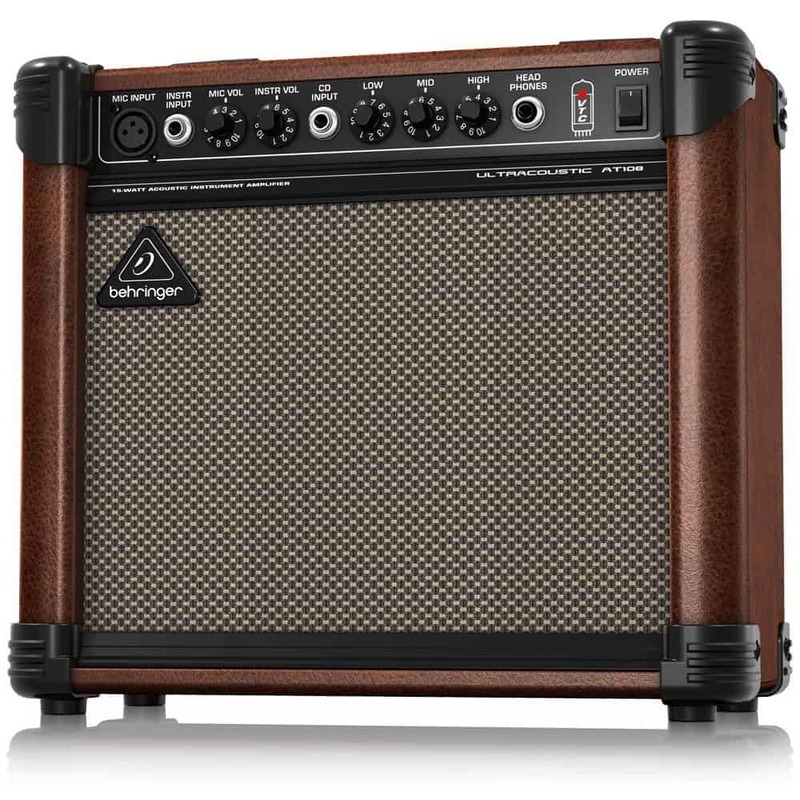 Having an amp for practice sessions is great, especially when practicing with one or more people. That way you can be sure your sound will stand out. In this case, look for amps that can be set up at an angle, like a monitor, providing more direct sound. Anything up to 20W is more than enough, especially if you live in an apartment building. If you plan on recording your songs in a studio, amps that include different effects onboard are a good choice. Some even feature a USB connection, so you can get that natural sound while not having to hassle with mic placement. For smaller venues, a less powerful practice amp can usually do the job. However, larger and outdoor venues require at least 100W, or even up to 200 or 300W, depending on the size of the venue and the rest of your band. Performing on the street is much easier if your amp can run on batteries, providing mobility and portability. As inputs on an acoustic guitar amp can vary from ¼ inch as well as XLR, make sure that your guitar matches the input type on the amp. Effects like reverb and chorus are commonly built in, but you can always use an effects pedal or a processor if you want more. Feedback control is important as playing at higher volume can produce annoying feedback noise. A crucial feature if you plan on playing gigs. The Ultracoustic At108 by Behringer is a great choice for practicing at home or playing smaller acoustic gigs along with a vocal. Behringer’s virtual tube circuitry gives this amp a true tube-like sound. With its powerful 20W speaker, it delivers clear and balanced sound. There is also a separate input where you can plug in a microphone, making it great for 2-man acoustic gigs. A headphone jack is perfect for those late night practice sessions. All that packed in a rugged body ensuring years of great sound. As expected, Fender delivers high quality, both in sound and appearance. The Acoustasonic 15 is no exception. Featuring 2 channels, for a microphone as well as for a guitar, it provides crystal clear yet punchy sound. At 15W it may not be perfect for bigger venues, but it sure can be loud, surprising for an amp that small. A headphone jack is also included, as well as a chorus effect for that extra depth and shimmer. 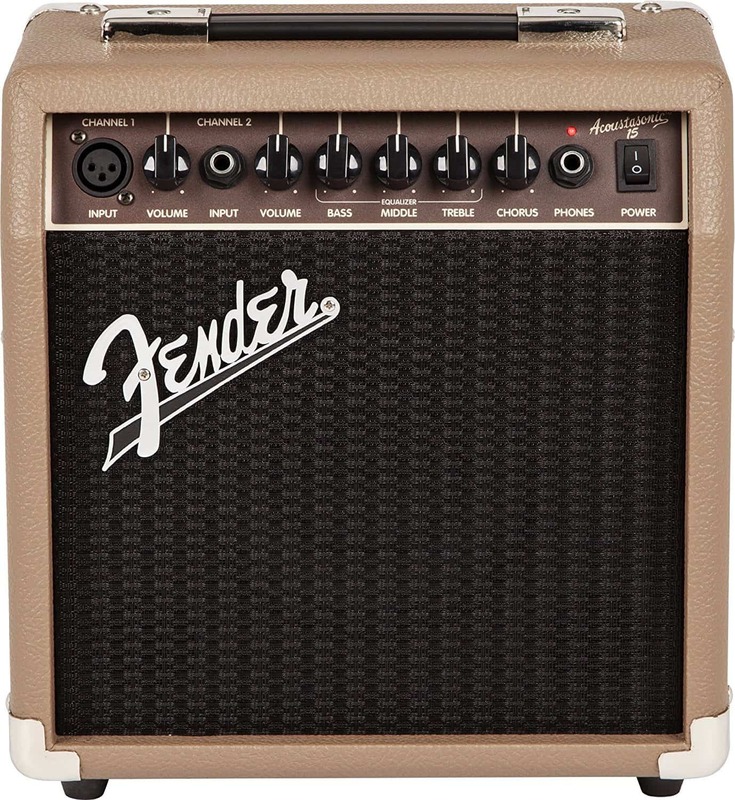 A compact amp perfect for carrying around, wrapped in that well known old school fender look. Although not that popular as Behringer or Fender, Fishman excelled with their Loudbox Mini acoustic guitar amp. It packs 60W of pure power, featuring 2 channels with preamp and tone control. A classic 3-band EQ makes tuning in just the right sound a piece of cake. As this amp is clearly more powerful than the other two we mentioned, it includes a feedback-fighting phase switch, eliminating that pesky feedback loop. An MP3 input featured is very useful if you like to use backing tracks or pre-recorded samples. Two channels are of course for plugging in a guitar as well as a microphone or other XLR devices. Another great feature is a reverb and chorus for the guitar channel, and a reverb effect on the mic channel, excluding the need for any effect pedals. As it packs more punch, it is a bit bigger and heavier, but it’s perfect for smaller gigs or band practice. If 60W doesn’t cut it for you, Acoustasonic 90 by Fender will do the trick. Capable of delivering versatile sound at 90W of power, it’s packed with awesome features any musician would appreciate. Separated mic and guitar channels are of course a feature, as well as a smart feedback elimination system, guaranteeing no high pitch noises even at full volume. Fender also went one step further by including cool effects such as reverb, echo, delay, chorus, vibratone, and a knob to dial in the perfect amount of effect in the signal mix. Weighing in at only 18 pounds, the Fender Acoustasonic is at the same time fairly lightweight and more than capable of delivering great sound with diverse effects. All that wrapped up in that classic Fender vinyl covering, black grille cloth, coupled with chrome hardware. No amp review would be complete without mentioning at least one coming from good ol’ Marshall. Their award winning, highly acclaimed AS50D is a 50W beauty of an amp. Featuring two 8” drivers, this amp is capable of delivering powerful yet crisp and clear sound. As we’ve seen so far, the AS50D also comes with two channels, for both a mic and acoustic guitar. 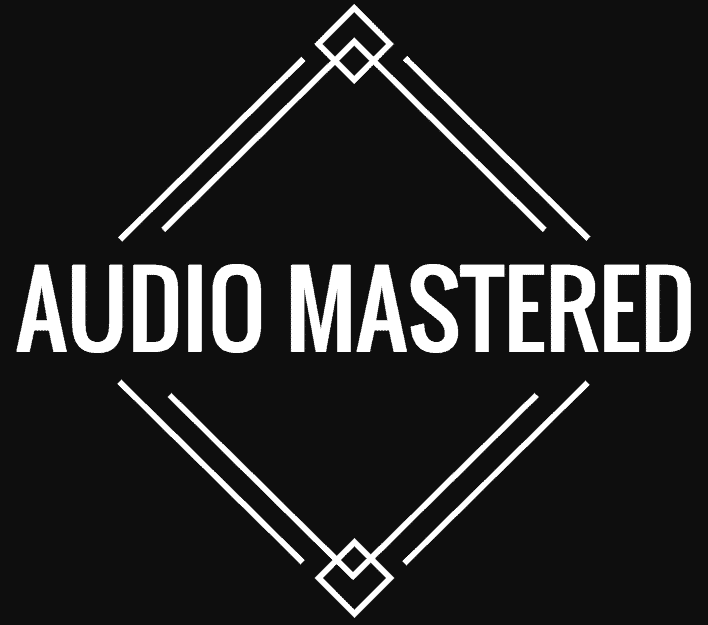 Independent EQ controls allow precise sound tuning for both channels individually. You can also dial in the perfect amount of reverb and chorus, and dedicate the effect to one of the channels by simply pressing a button. As it can get pretty loud, a standard anti-feedback notch filter ensures no unwanted sounds will be heard. All that packed in a classy brown exterior, and weighing in at 35 pounds. Definitely, a high-quality purchase, as you’d expect from Marshall. These amps, in our opinion, are great representations of what your best choices are, at different price points as well as different output power levels. Any of these sound and perform outstandingly and are pretty durable and rugged. Whichever of these you find suits your needs the most, we guarantee you won’t be disappointed. Thanks for reading, and keep on rockin’!